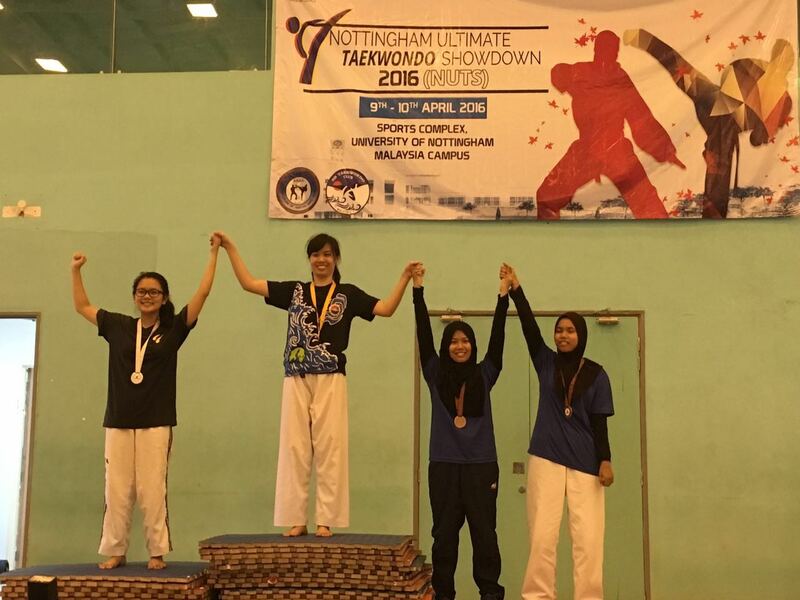 UTAR students nabbed three gold medals in the categories of male heavyweight, female welterweight, and female bantamweight recently at the Nottingham Ultimate Taekwondo Showdown held in University of Nottingham, Malaysia Campus from 9 to 10 April 2016. “This competition has always been a training ground for me to improve my physical, technical, tactical, and psychological skills for future tournaments,” male heavyweight gold medallist Calvin S’ng Kai Vee said. “It was a good platform for all players to meet up, spar, gain experience, exchange ideas, and promote goodwill among players from other private universities,” said female welterweight gold medallist Ban Sok Tee. Choon Siang Yong, Female bantamweight gold medallist hopes that their achievements will inspire more students to take up the sport in the future. 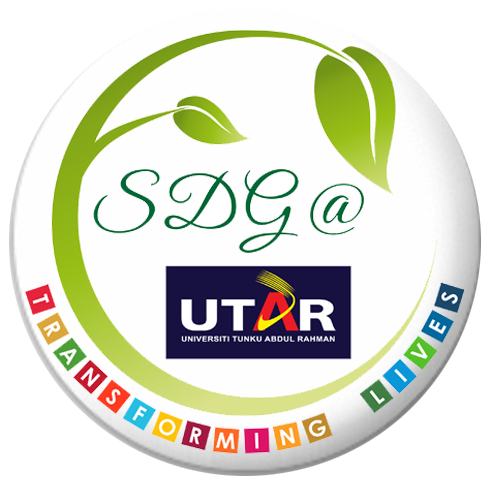 Besides that, seven other students managed to win five bronze and two silver medals. 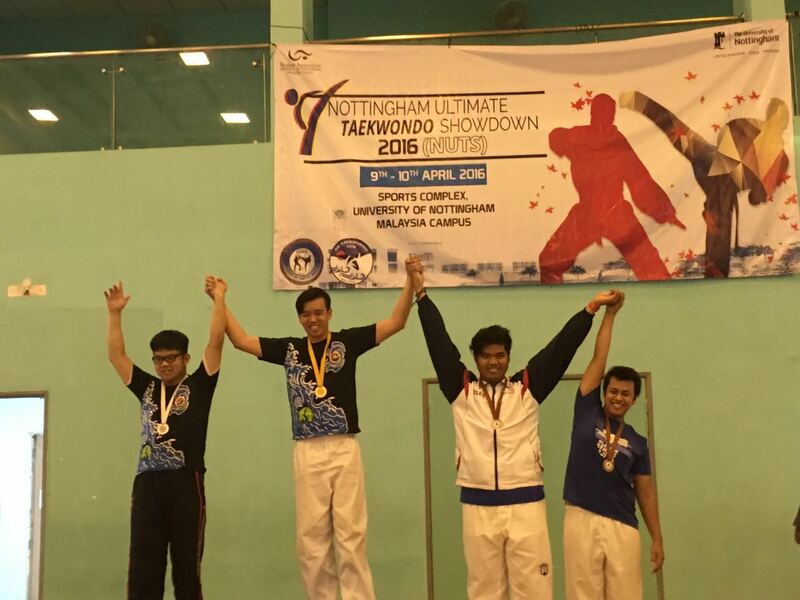 Nottingham Ultimate Taekwondo Showdown 2016 was a Taekwondo tournament organised by the University of Nottingham, Malaysia Campus.